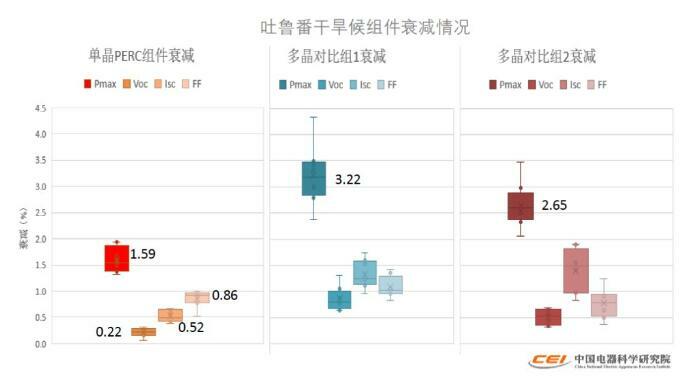 Component attenuation, including LID (photoinduced attenuation, including LeTID), PID, attenuation due to aging of the package material and battery connections, is an important factor affecting module power generation. Recently, due to the heated discussion of the LeTID issue, the attenuation of PV modules has attracted more and more attention. Therefore, the outdoor demonstration of the State Key Laboratory of China Electric Apparatus Research Institute in Sanya, Hainan, and Turpan, Xinjiang (2016.10~2017.9) can provide an important reference for the industry (as shown in the above figure, the highest temperature is the monthly maximum temperature. Component backplane, temperature is the component. The average temperature of the component backsheet between 10 and 14 o’clock during the day answers the question of the first year of decay of the single crystal PERC component. Although the previously published results were primarily used to study power generation data, in practice, the component electrical performance parameters were accurately tested before and after sampling the components. The components purchased were from the first-line manufacturer and the initial power supply consistency was very good. In the Sanya test site, the module’s average operating temperature is 40-50 ° C, the maximum operating temperature is about 70 ° C, the module experienced 14.5 months of high temperature, high humidity and outdoor exposure, and the single-chip PERC module relative to the initial power The average attenuation is 1.99. %, (relative nominal power attenuation is 0.93%), the open circuit voltage and short circuit current attenuation is small, mainly the attenuation fill factor FF. 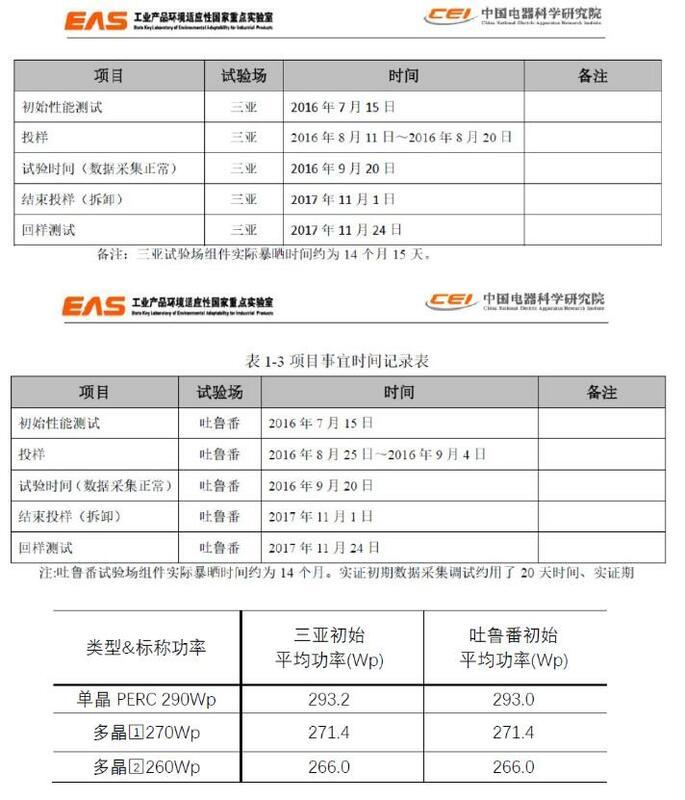 The initial power attenuation of the two polycrystalline components was 3.77% and 2.77% (3.26% and 0.53% relative to the nominal power attenuation), and the main attenuation was the attenuation of the short circuit current. In the Turpan test site, the average daily temperature (10~14 hours) of the components in June to August can reach 50C or more, and the highest working temperature in August reaches 70C or more. After 14 months of high temperature, high radiation, dust and The higher the day and night, the seasonal temperature difference, the average single-chip PERC component is attenuated by 1.59% relative to the initial power, (the average attenuation is 0.58% relative to the nominal power). 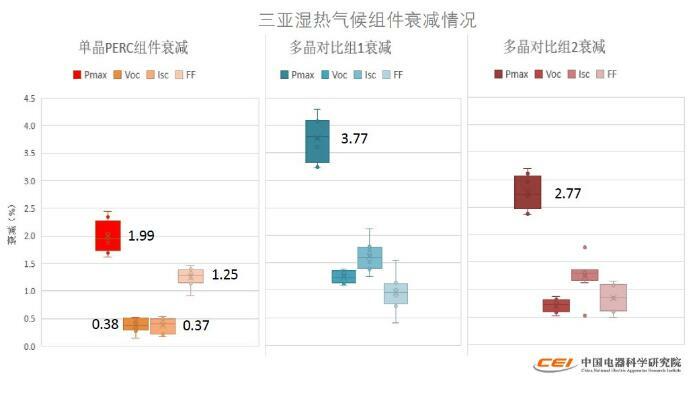 Compared with the Sanya empirical project, the attenuation of FF is reduced from 1.25% to 0.86%. The single crystal PERC component has a small attenuation dispersion. The attenuation of the two polycrystalline components relative to the initial power is 3.22% and 2.65%, and the main attenuation is still the attenuation of the short circuit current. From the empirical results of the two bases, for this harsh outdoor environment, the aging attenuation of the components is much more significant than in the general mild environment, and the single-crystal PERC assembly (from LONGi) has better attenuation, indicating single crystal. PERC technology combined with low light attenuation technology can effectively cope with outdoor high temperature working conditions.